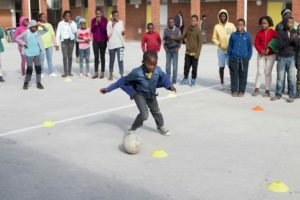 The sports development programme provides a safe and supportive space for children to experience both the physical and mental challenges of sports. 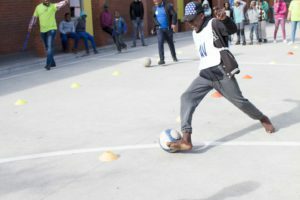 Coached by staff members and volunteers, the sports programme provides an opportunity for local youth to develop their skills through healthy and constructive activities. Currently 160 students per week are trained in soccer, 60 in field hockey, 90 in netball, and 60 in cricket. 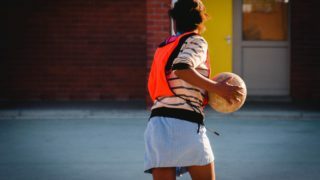 We proudly provide opportunities for our learners to compete in area leagues such as the Mitchell’s Plain Union Netball League and the New Cross Roads Local Football Association. Great content is coming soon! Have a look at what happend at Cape Town Cycle Tour 2018! 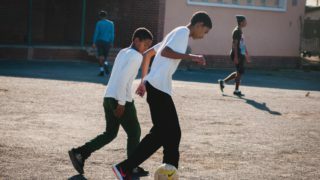 Getting feedback from parents, guardians and the communities makes us realise that day to day we are making a huge impact on the lives of our children and youth in our programmes, keeping them away from those negative things that plague our townships. “I like to thank this organisation on behalf of my son and my nief they develop more interest in sport since they started at Amy biel. I saw that they are going somewhere,when they come from school they don’t even eat rush to their practise even on weekends they spend their time on soccer. A kid in sport is a kid out of court!